An outer drum made of criss-crossing iron finished in classic bronze encloses a light amber organza diffuser. An additional layering element is the matching finished mini- chandelier, within the fixture, that is properly accented with frosted blown glass shades. 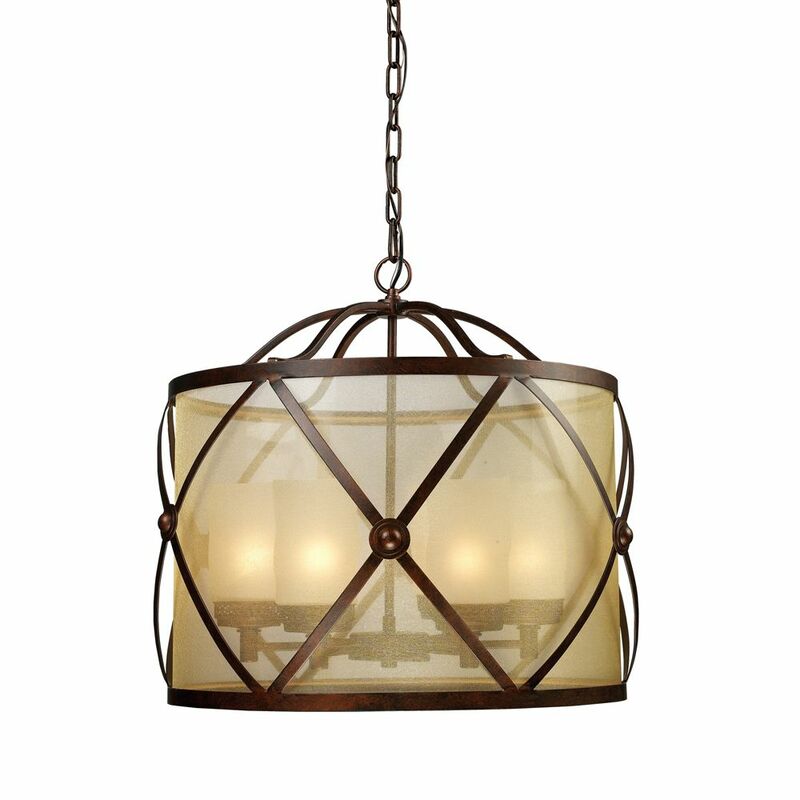 6-Light Ceiling Mount Classic Bronze Chandelier An outer drum made of criss-crossing iron finished in classic bronze encloses a light amber organza diffuser. An additional layering element is the matching finished mini- chandelier, within the fixture, that is properly accented with frosted blown glass shades.